Tallowdale Tea creates floral, spicy, herbal and black tea blends in Beecroft, Sydney. 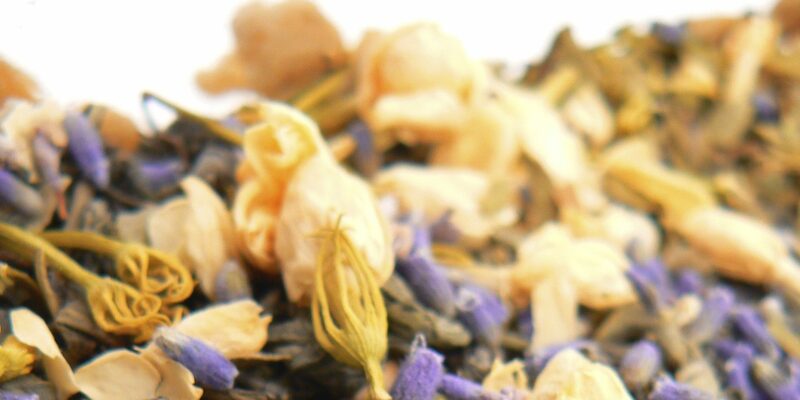 Our loose-leaf teas use high quality Australian and imported ingredients. Our blends are crafted with consideration to its aroma, appearance and taste to ensure that each sensation has a genuine appeal. They are hand-blended and designed by artisan, Linda Billingham, who takes delight in creating unique tea beverages. More than a store, Tallowdale Tea adds class to a wide range of events. We cater beverages for a variety of occasions, including corporate functions, craft/artisan markets, engagement & birthday celebrations, kitchen teas & bridal showers, wedding bonboneries, High Teas and for gatherings of your friends and family. Tallowdale Tea and its partner business, Tallowdale Music, derive their names from the Billingham family property. ‘Tallowdale’ is a beef cattle farm, located west of Ellenborough Falls on the Bulga Plateau in New South Wales, Australia. The farm quite literally sits in a dale in the mountains and is adorned by beautiful Tallowwood trees. I take delight in tea. I love its aroma and lingering taste, and the endless combinations and blends that are possible. But, for me and for many, the attraction of tea goes beyond the mere beverage to include the fascinating and pleasurable customs that surround the enjoyment of your cuppa. Tallowdale Tea offers traditional, classic blends as well as adventurous, cheeky new combinations. Whether you demolish your beverage on the run from your modern plastic hot-cup, or if you pause to brew a loose-leaf blend in your favourite teapot, savour the moment and appreciate the ceremony of tea in your own way. Here’s to the essence of tea! We hope you enjoy your cuppa! Art comes in many forms, just as I find my creativity taking shape in different ways. I am a musician and my current occupation is as a high school Music teacher. I love to conduct choirs and ensembles, I sing and play the French horn. Most of my employment has been related to music, but I notice that my creativity also finds expression in adapting recipes and composing blends of tea. My husband is a musician – a composer, singer, violinist and pianist – and also a fabulous cook. Perhaps it goes hand in hand! Tea brings joy to both young and old. I have had beautiful responses from the elderly when tea has evoked a memory, such as being serenaded with a childhood song about tea – a complete rendition, word-perfect for every verse! I have also been very impressed by several young girls who held the buying power for their family – and rightly so, with the knowledge and prowess that they displayed as tea connoisseurs who knew how to distinguish their desired blends! It is so rewarding to engage with people over your own teas and especially to see how they enjoy them and to share a smile. My Lord Jesus. If you’re familiar with the name, I imagine there are many reasons behind that, but unless you appreciate how precious a name it is, I feel that you are missing something. I hear my students exclaiming “JESUS CHRIST” a lot… but it’s not usually His fault. God invites us to draw near, through Jesus. God holds out his hand to us, through Jesus. Love, joy, forgiveness, peace, comfort, contentment, hope and eternity. These can be found through knowing Jesus. I must admit that I get excited thinking about the prospect of making tea! If my day has something to do with tea, my toes will wiggle and my mind will become more alert. But that can’t happen everyday. I guess I get up every morning to see what I can do to help those around me, whether at work or at home… and to have some fun whilst I’m at it! I’d love to make gnocchi…. but I don’t have a potato ricer! I enjoy exploring different recipes and gaining new skills, especially in relation to Italian foods. I have two, as our businesses crossover and combine. For Tallowdale Tea to be served in cafes across Australia and supplied to gift stores. For Tallowdale Music to bring renewed passion and appreciation for the art of music to our contemporary audience. These are already taking place, let’s just keep at it. 1. Alight the train at Circular Quay station and breath in the view. 2. Meander through the Royal Botanic Gardens, always taking time to smell the roses! 3. Enter the Sydney Conservatorium of Music, where the melodies waft along the corridors like a musical masterpiece yet to be voiced as one. Find what you are passionate about. You don’t have to go about it in the same way as someone else. You are unique, so use your preferences to achieve the same goals, but in a way that holds your interest, that engages your mind and your heart. Do you love it? Do you enjoy what you create? Then keep going! Take each day as it comes, one step at a time. Building up a brand/label requires patience and steady forward motion. Keep looking for opportunities and don’t be discouraged. You never know what leads may be just around the corner! If you believe in God, pray about everything. Let yourself rest, too. Take a break, see your friends, focus on other interests… then come back refreshed and ready to continue your projects with renewed creative zeal!